Satyendra Singh Huja, a Sikh American, has been unanimously elected as the mayor of Charlottesville, a historic city in Virginia. Huja, who originally comes from Nainital in Uttarakhand, was elected mayor of Charlottesville early this month. Incidentally, Huja is the only Sikh resident of Charlottesville, nearly 120 miles south west of Washington, having a population of 43,000. 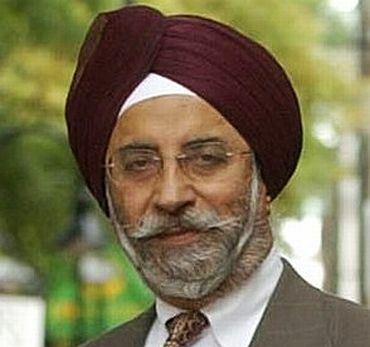 The other Sikhs in this city are students of the Virginia University. Notably, Charlottesville is home to three American Presidents -- Thomas Jefferson, James Madison and James Monroe. "It says a great deal about our community that someone like me can become mayor. Our community appreciates diversity," Huja was quoted as saying by the local The Daily Progress. "As the mayor, I will work with City Council for a future agenda for the community," said Huja who has been elected for the two-year term. "I will listen to the desires and concerns of the citizens, residents and businesses. I'm accessible 24/7 to hear your concerns and ideas. As mayor, I will work my very best to protect the interests of our community. I will work to enhance the quality of life and the environment, so that Charlottesville can be a great city, a great community for all of its residents," he said. According to his campaign website, Huja came to the US in 1960 and has been a resident of this city for the past 38 years. He was city's director of planning and strategic from 1973 to 2004. In 2007, he was elected as the City Council member. Huja, who holds masters in Urban Planning, also teaches at the University of Virginia. Can CSK manage a win over MI tonight?